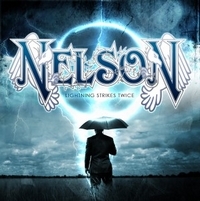 Just recently Nelson presented their comeback album Lightning Strikes Twice, now they offer Before The Rain and Perfect Storm - After The Rain World Tour. Before The Rain isn't a re-release of their highly successful debut album After The Rain, it's the demos and left-overs! And that's what makes this albums so interesting, coz the demo versions slightly differ from the After The Rain versions. And the left-overs give a good idea about Nelson in their early days. Sure, the sound quality can't keep up with nowadays standards, but the demos were polished and so you get 80's arena rock with an authentic sound. Matt and Gunnar Nelson first offer songs which made it onto their debut, but in a different order. The left-overs are even more interesting, coz you wonder why some songs didn't made it onto the album. Well, back than you had about 45 minutes of music at a vinyl album, nowadays the CD allows up to 80 minutes - and so some of the songs would have made it on an original CD release. Okay, the technology was already there, but just at that time CDs became more popular. At all you get 18 track which show that the Nelson twins had really a lot in store when their debut got released. Songs like Let's Get This Show On The Road rock and bring back the early 90's arena feeling. One of the highlight's is the rocker It's Gonna Get Better, another one is the ballad I Wish which has a melancholy touch. Runnin' Outta Time (The Silence Is Broken) will hook you up right away, a song which will haunt you! Finally it's released, but I think back than it would have been another hit for Nelson! The live album Perfect Storm - After The Rain World Tour 1991 is a travel back in time. It will revive the memories of everybody who saw them back then - and give everybody else an idea about how Nelson sounded live in 1991. The recordings show them at their high time, it was the Nelson mania! Well, it's not like in the days of the Beatles, but you can hear girls screaming in hysteria while they are playing Fill You Up, the opening song, but also later in their set. And after awhile the screaming gets a bit annoying... Anyway, songs like Only Time Will Tell and Everywhere I Go show Nelson in top form. With Two Heads Are Better Than One they even offer a song from the pre-Nelson era! The instrumental tunes like Uluru which features Brett Garsed, the lead guitarist adds a bit of Back In Black to his solo and before it leads into Will You Love Me he takes you onto a sonic journey with his guitar. After The Rain leads over to The Legend, a drum solo of Bob Rock, but he's accompanied by his mates and after thanking everybody keyboarder Paul Mirkovich enchants you with his Interlude. And with Everywhere I Go they close the chapter. But wait, they have a little extra for you! 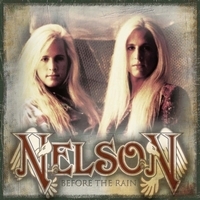 Keep One Heart was the bonus track of the Japanese version of After The Rain and so finally is available to all Nelson fans. Well, the sound quality isn't like nowadays recordings, but it's quite good and so you can enjoy the song and the atmosphere. A must-have for fans of Nelson and arena rock! 1. On With the Show! Some might remember the blonde twins from the late 80's / early 90's when songs off After The Rain were played frequently at MTV. Later they seemed to vanish, at least in Europe you didn't hear much about the Nelson twins, even if they frequently released albums til the turn of the century. Now Matthew and Gunnar are back with Lightning Strikes Twice. After the opener Call Me - a typical Nelson song, but more mature -, they offer Day By Day which sounds like a Bon Jovi track! Ready, Willing And Able will be great live, a good-time rocker! The balladesque rocker How Can I Miss You? has a slight Scorpions-touch (guitars) in the beginning, but then they speed up and the song would have fit on an old Bon Jovi album. Even if the vocals partly remember me of Nick Workman (Kick)... With You're All I Need Tonight you get Nelson at their best! 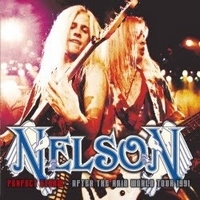 Well, the Nelson twins offer another album full of melodic rock tune, but more mature then back in the days. They keep the late 80's hard rock / AOR alive.